On a recent trip to the Florida Keys, we began the morning rolling out into the Atlantic Ocean and finished the day with dinner facing the Gulf of Mexico. 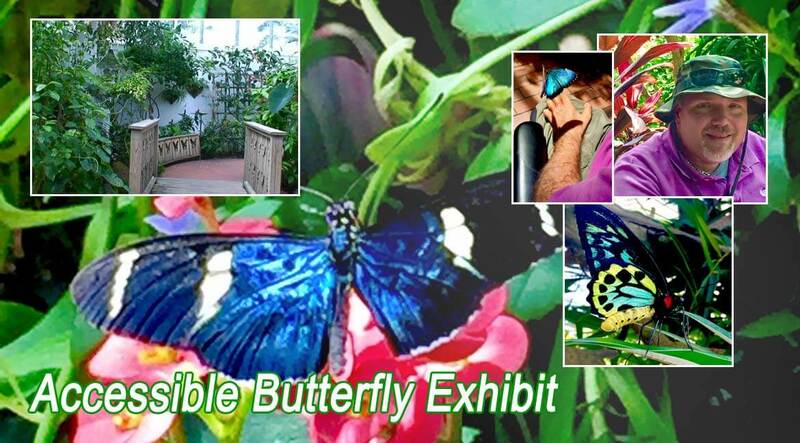 In between, we had a humbling experience as we toured an accessible butterfly conservatory. It was humbling because each butterfly is unique in shape and color, yet we learned that their life expectancy is only 10-14 days long. While we may pass this way again, the butterflies we encountered that trip will be long gone. We will only have the memory of this experience and the overwhelming knowledge that the Creator, who uniquely designed each one of them, designed me as well. From the wide range of vibrant colors and sizes, to the fragility of their delicate wings, each butterfly added to the "Garden of Eden" experience. If you are ever down this way, please go be a part of this beautiful experience. The conservatory itself is a large bio-dome, or a glass encased eco system if you will, loaded with amazing tropical plants, birds and fish in a stream. The meandering cobblestone walkway, arched bridge and rainforest misting system culminated with a trip into the gift shop where artist displayed these beautiful butterflies in acrylic display cases, paintings, jewelry, glass works, etc. in an attempt to preserve their memory. It was definitely a trip worth taking. There is only one path of travel so be prepared to move slowly and share "walking space". It's very humid so be sure to hydrate and watch out for overheating. Take your time and absorb the experience. Be aware of your surroundings – birds, butterflies, etc. have a tendency to land on the path.